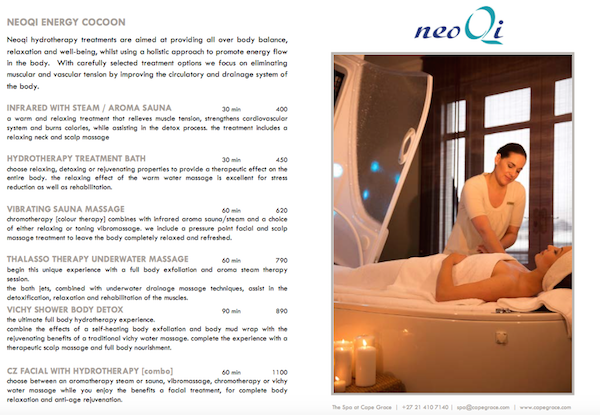 Yesterday I was lucky enough to give the new NeoQi Energy Cocoon a whirl at The Spa at Cape Grace. I feel I need to describe my day running up to my treatment yesterday in order to do the effects of the treatment justice. My car had been reversed into by a stupid woman in a parking lot who, despite my hooting, refused to get off her phone and concentrate. We got out our cars, and saw there was no damage (thankfully). But, what made me completely lose my sh*t was the fact that not two minutes later she almost hit me again! Now I can get irritable fairly quickly, but it takes a LOT for me to go into a blind rage. This was one of those incidents that sent me off the rails! In fact, if I had been in a bigger car, or one with a bull bar, I would have driven into her. Repeatedly. 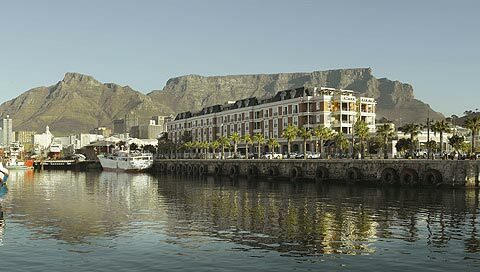 The beautiful Cape Grace. 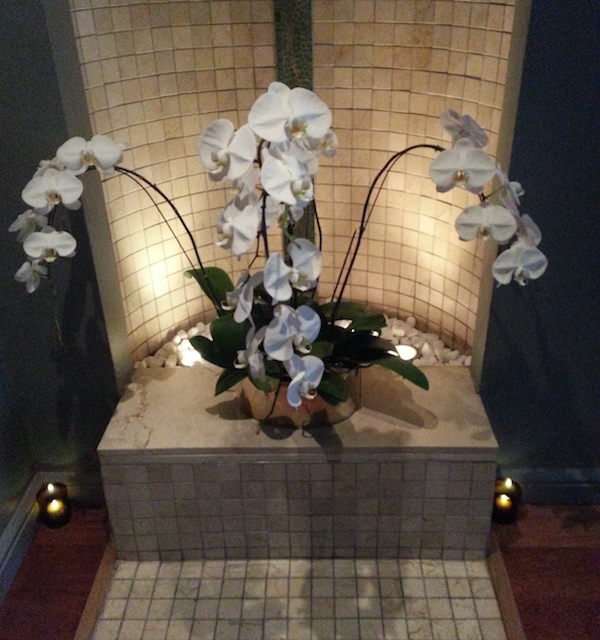 The spa is situated on the fourth floor at the city end of the hotel. By the time I got to the Cape Grace I had gotten over it a bit, but was still not what you’d call calm. 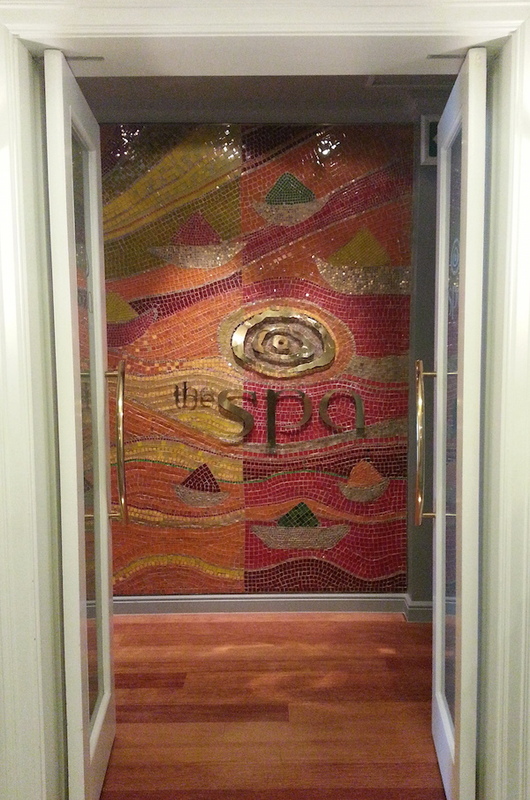 Just entering the spa took my blood pressure down a few points. The décor is what I’d describe as Afri-chic, and not in a business hotel type of way. It reminds me of The Royal Livingstone in Zambia. Colonial and cool. The treatment is done in this crazy-looking contraption, and looks more like something an astronaut would train in rather than a relaxing hydrotherapy treatment. The machine is designed to balance the body and relive muscle tension by improving the circulatory and drainage systems. The whole treatment is carried out on the soft, sponge platform. You start with a full body sugar scrub exfoliation to help the mud better penetrate the skin during the steam session. See – nothing for claustrophobics to worry about. 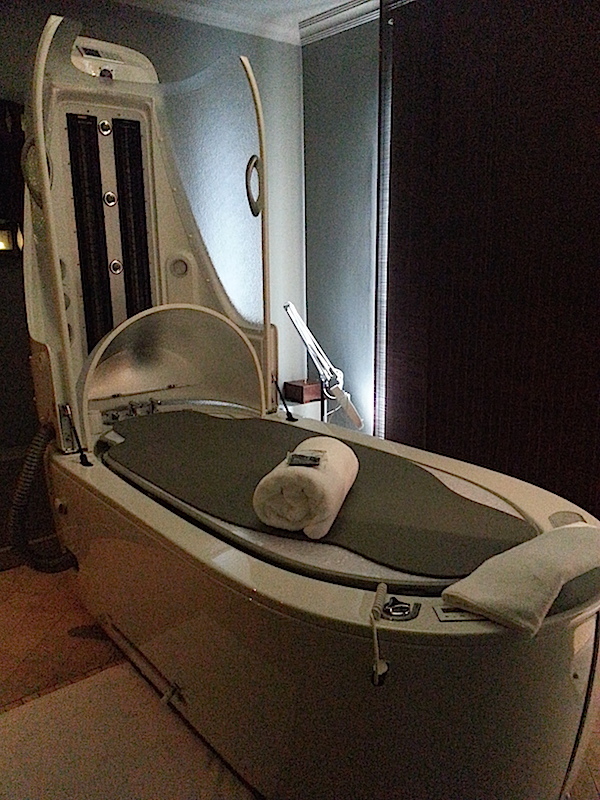 The cocoon contains infrared lights, chromotherapy lights, steam nozzles, a vibrating massage bed and a Vichy shower. Each of these elements can be adapted to best suit your needs. In my treatment the steam, infrared, vibrating bed and chromotherapy were all on simultaneously. The steam was at 40C and the infrared at 45C. This sounds incredibly hot, but it wasn’t at all uncomfortable. The chromotherapy lights were changing between colours – I can’t tell you which, as my eyes were covered with a mask. I opted for the medium strength on the vibrating bed – this helps the mud penetrate as well as releasing any muscle tension (of which I had masses.) While this all this was going on, Pralene was treating me to a scalp massage! And did I mention the cocoon has build-in music so you aren’t disturbed by the sound of the machine? The relaxation was at another level. After 20 minutes under the heat, the Vichy shower turns on to give your circulation boost. (A Vichy shower is basically a metal tube with nozzles that drops water onto a person while they lie on a bed developed to be used with water therapy.) The water was cool to begin with, but warmed up gradually. Once suitably Vichy showered, I hopped off the bed and into an actual shower to remove the remainder of the mud. I have never had such soft skin, ever. 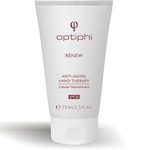 The last step in the treatment was the application of a body butter to further soften the skin. Pralene asked me to close my eyes and smell my two options. I chose the Uplifting Grapefruit and Thyme, but you could have Relaxing Pomegranate and Fig. I lingered here in the relaxation area for 20 minutes after my treatment. When the South Easter isn’t blowing, you’ll have perfect view of Table Mountain. I literally floated out of the spa and didn’t even notice the rush hour traffic. The most remarkable effect of my treatment, however, was how well I slept last night. I am normally a terrible sleeper, but last night, I was in bed by 10 and slept through until 05h30. I don’t remember the last time I did that without the help of tablets or supplements. Needless to say, I feel like a new human today! This is the most amazing treatment if you are suffering from year-end burn out, or will soon be suffering from ‘too many relatives for too long a time over the festive season’ syndrome. I didn’t need anymore reasons to want to claim squatter rights at the Cape Grace, but this one does add to the urge considerably! 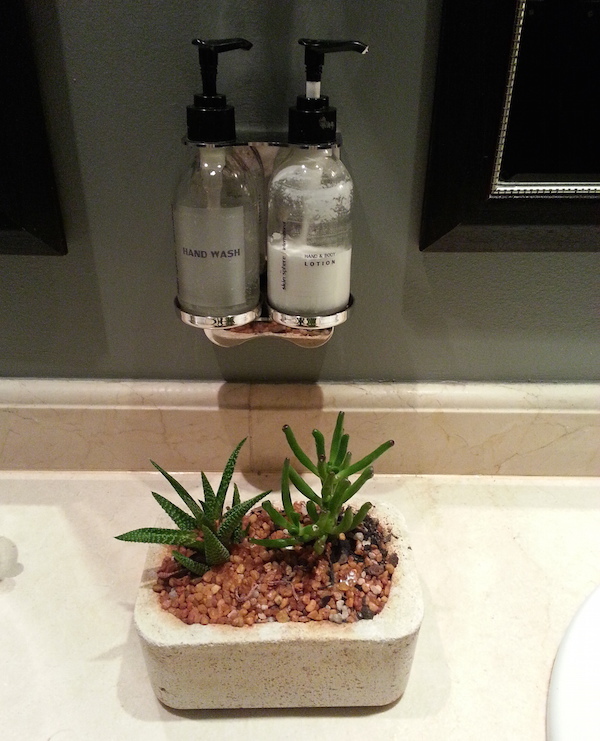 Take a cossie with you so you can take advantage of their hydro relaxation area. This treatment is not suitable for pregnant ladies, people with blood pressure issues, heart problems and diabetics. I had the Vichy Shower Body Detox Treatment, R890. The treatment lasts 90 minutes, but there are other options available. 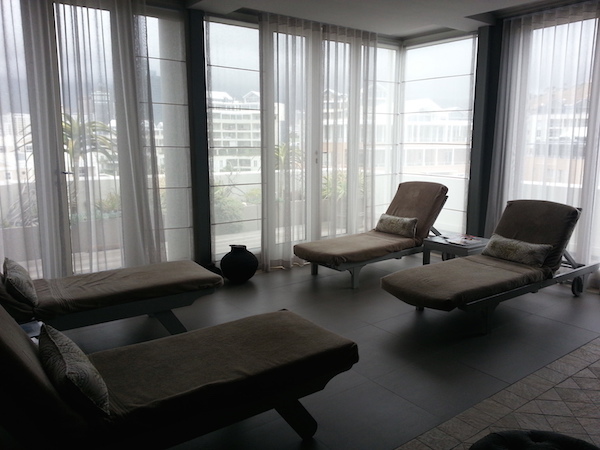 You can contact The Spa at Cape Grace on 021 410 7100 or visit their website.